Get ready for the Ultimate Winter Sports package! 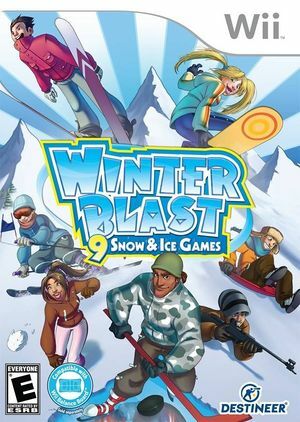 Featuring Ice Hockey, Long Jump, and more, Winter Blast: 9 Snow & Ice Games brings all the excitement of the Winter Olympics into your home. Includes 10 exciting games, balance board support and addictive multiplayer game types for the whole family. The graph below charts the compatibility with Winter Blast: 9 Snow & Ice Games since Dolphin's 2.0 release, listing revisions only where a compatibility change occurred.